Box of 32 pieces of tailors’ chalk for marking alterations. Markings by this Trippelware tailors' chalk are easily removed with a hot steam iron. 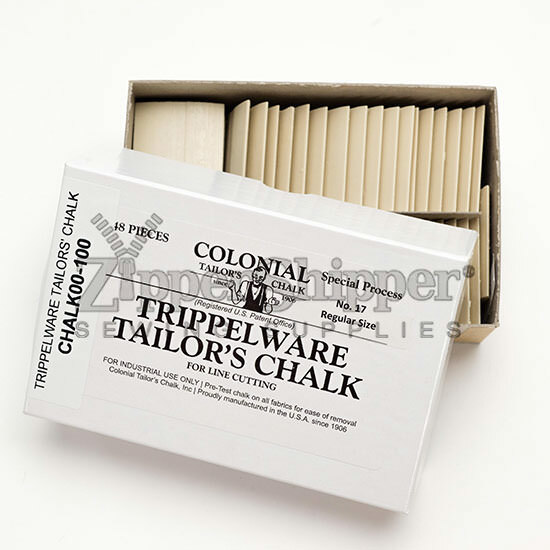 Trippelware tailors’ chalk is available in white.